It’s been a very busy summer for this pizza critic, but rest assured that I am committed to letting you know where all of the great pizza hot spots are in NEPA! Today, I teamed up again with the first lady to go out on another “pizza review date.” Lucky for me, she still enjoys going on pizza reviews with me, but unfortunately, it’s getting more difficult to think of sit-down dining room pizzerias in our immediately surrounding areas that we can go for dinner at. 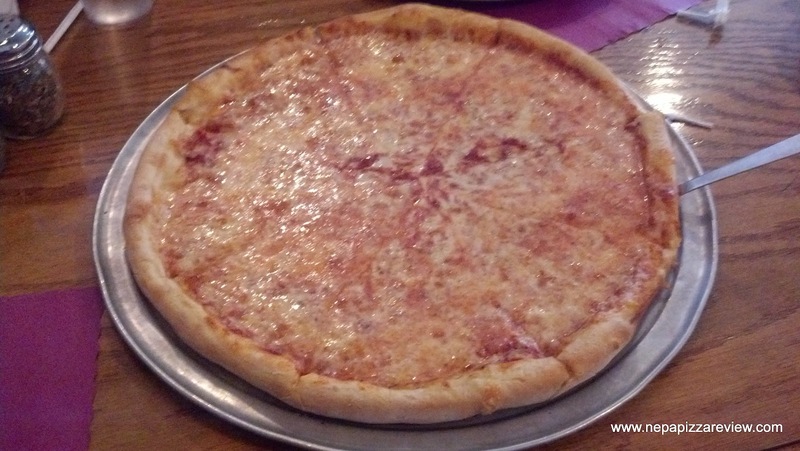 Fortunately, I’ve long been aware of Fratelli’s Pizza and Pasta House in Scranton, and I recalled that they had a very nice dining room that we could feast on pizza in. As we pulled into the parking lot, I noticed that Fratelli’s had added a fenced in patio where you can grab a cocktail or enjoy a meal outdoors under the sun or stars. I added this to my mental checklist of places to hit up when I want to relax, and grab a cold beer and a nice slice of pizza. When we entered, I noticed that there was a full service bar complete with flat screen TV’s, and it appeared that the entire dining room had been recently renovated which gave it a comfortable and fresh look. The friendly hostess showed us to our seats, which was a high-backed booth which provided a little privacy alcove for a private conversation about the pizza we would be trying! It also made my pizza photography session way less awkward than usual! 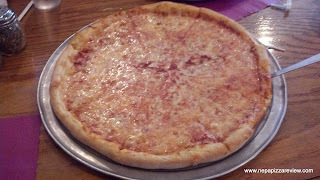 After we got settled in, we placed our order for a large cheese pizza and an order of hot wings (which were gigantic!). After only 8 or 9 minutes, the pizza was steaming hot and ready on our table, and we were very excited to try it (again)! When I picked the slice up, I noticed how well this pizza was constructed, with an evenly stretched crust and a wonderful thicker outer crust to crunch on. There was plenty of sauce and cheese on this pie, which is always a welcome treat for us. The first bite netted a variety of pleasant flavors. The sauce was probably the prevalent flavor, and it had a thicker texture, smooth consistency, and the flavor balance was perfect - not too salty, not too sweet. The tomatoes were clearly of a good quality as their flavor spoke for themselves. Although the flavor of the sauce stuck out to me the most, the cheese was really delicious as well, and the blend of (I'm assuming) mozzarella and white cheddar cheese was slightly salty and paired elegantly with the sauce. 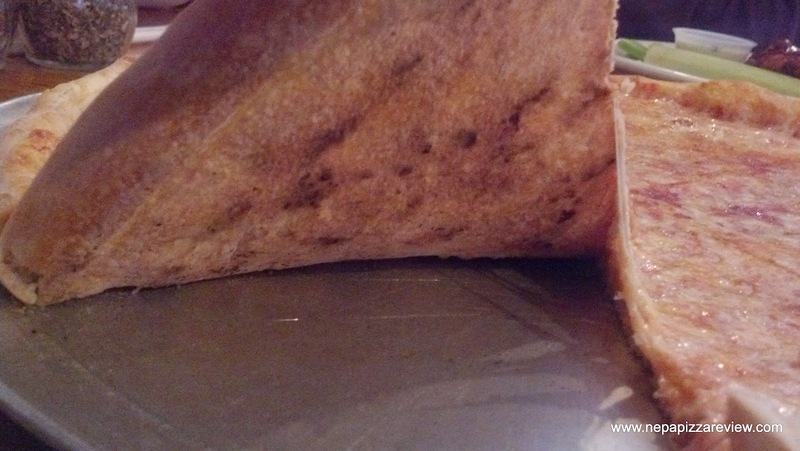 I thought the cheese was my favorite part, until I analyzed the dough. This dough was so tender, I had to assume that the dough was carefully mixed for an extended period of time to slowly build the fibers in the mix. Sometimes pizzerias just dump the water and flour in the bowl and mix up a batch in 10-15 minutes, and I'm guessing this isn't the case here! Anyway, on top of being very tender and soft, the crust was crispy and perfectly browned all the way around. 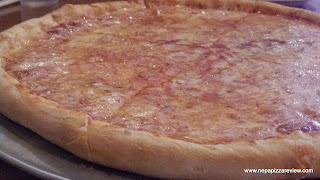 This is definitely one of the better New York Style crusts in NEPA. If you are interested in dining in a family friendly environment with great food at reasonable prices, I'd recommend you give Fratelli's a try. The pizza is excellent, and you won't be sorry! Don't forget to leave a comment below (or on my facebook page) if you go and try it out!